We’ve had some beautifull spring weather this week, the trees are budding and I’ve had the urge to go outside and sit on our balcony. I have cleaned the balcony, although I haven’t sit there yet due to being busy with work. There was a book blitz going on and putting in some hours of marketing assistant work for this month. I think I got the spring cleaning bug as the rest of the week I cleaned out some cabinets in the kitchen (I already did a few last week as well) and dusted off and cleaned the towel rack in the bathroom. We suddenly have more space due to my sister moving and packing up her stuff and I had to urge to clean and reorganize everything. 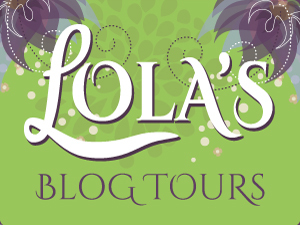 And I have some big news concerning Lola’s Blog Tours. 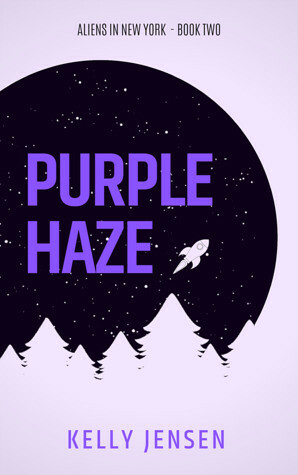 I decided to make my cover reveals free, no strings attached. 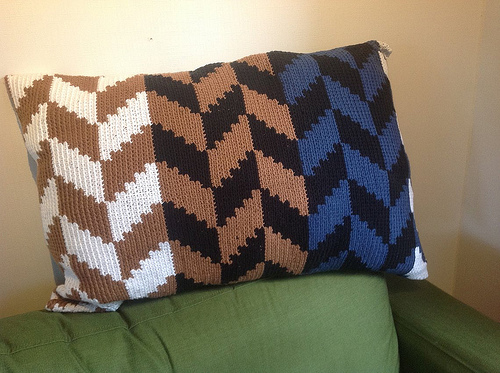 Till at least end July and at that point I’ll decide whether to keep them free or up the price again. I explain my reasoning behind that decision in this post. Basically I want to give free cover reveals to authors and as a sample of my services. My cover reveals never have sold well and I hope this change will change that and I am hoping to organize more cover reveals from now on! My boyfriend and I finished watching the first season of Star Wars Rebels and am now eagerly anticipating the next season. So with us being in a star wars mood we found out there’s another animated series named The Clone Wars (not confusing or anything as there’s a movie with the same name). We watched the first few episodes of the Clone Wars series, it’s not as good as Star Wars rebels so far, but it’s still nice. And Annakin plays an important role which is a good thing as he’s one of my favourite star wars characters. My mom had her surgery for her tonsils tuesday, the surgery went well, but after that she did have some pain and was nauseous for a whole day. We will receive the test results monday and then hear if it was just an infection or something worse. My sister and her cat Mimi are moving out today if everything goes well. They painted their new appartment friday, put the laminate flooring down on saturday and today they are moving the boxes and furniture. I would be happy when all this is over. I want to change some things in the house and I’ve had enough of sitting around boxes and finding stuff from her she still had to pack and then have her complain about the packing. And then almost getting into an argument every time I say something. I think living in seperate houses is going to be good for us. Like I mentioned last week already I am joining the Mini Blog Ahead which takes place in the first two weeks of May. The goal is to end the challenge with 14 more scheduled posts than you started. I am not sure if I am going to make that amount, but even if I only end with a few more scheduled posts than I started it’s more than worth. I am currently around 35 scheduled posts! 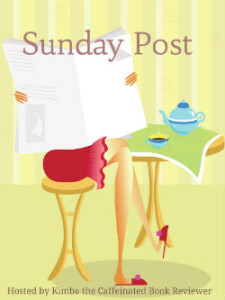 I’ll share my updates in my sunday post, like I did with Coyer instead of creating a sign-up post. Do you remember how during last week’s Sunday Post I posted a picture of the apple juice box when I just put it in the cage, well here’s a picture of what it looks like a day after it’s been in the cage. I call it mount lots-of-cloth-pieces, for some reason they love heaping all the bedding and pieces of cloth around the box like this. btw that’s Smarties next to the box. Thursday morning I hard Snickers beign busy rearranging the beddign against the box and got her out of cage as she seemed active, then Smarties head poked out beside the pieces of cloth. Snickers was actually burrying Smarties in there O_o. And here’s Snicker in the Sputnik. They love their Sputnik, one of the best toys I ever bought for them next to the Igloo which is from the same brand. Snicka has as nickname “Queen of the Sputnik” as she can be found there often and often sits like this with her head queenly out of surveying the room. It’s adorable. – Lola’s Ramblings: What do you Like about your Job? Penny and high school never got along. She attends her fifteen year reunion costume party on Halloween and hopes her high school crush Will shows up. When the lights go out and Will finds her, can their sparks turn the lights back on? This is a short story, approximately 8,600 words. I think the spring cleaning bug also bit me becasue my sister is moving out and there are suddenly open spaces everywhere I want to rearrange everything. Although I am really happy with how the kitchen and bathroom look now, so I am happy with that. And Snickers is a cutie! It’s been hard reading another book first instead of the new Pajonas book, but I had a book I needed to finish for next saturday, so that took priority. But next is up is Reclaimed! So excited! I’ve got a pile of cleaning and chores that need to be done this week-just as the weather warms up which is a pain. I prefer getting housework done when it is cold and wet! Enjoy your books! When the cleaning urge hits me I actually enjoy cleaning and it’s just so nice when everything’s clean again. I am not sure if it’s because the warm weather or my sister moving out that I got the urge to clean, but it’s been nice. 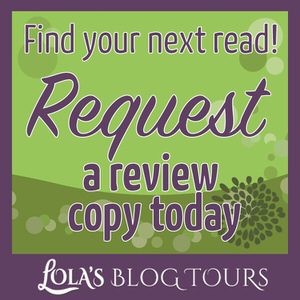 Oooh good on you for making a great deal for Lola’s Blog Tours, I hope it’s going well for you! Snickers looks super cute in that picture. I hope your mum recovers from the surgery well. Have a lovely week ahead! I am always tryign to come up with new ways to improve Lola’s Blog Tours and the cover reveals are selling so bad, that I thought why not offer them for free and give authors a free tour that way. I hope it will be a success. 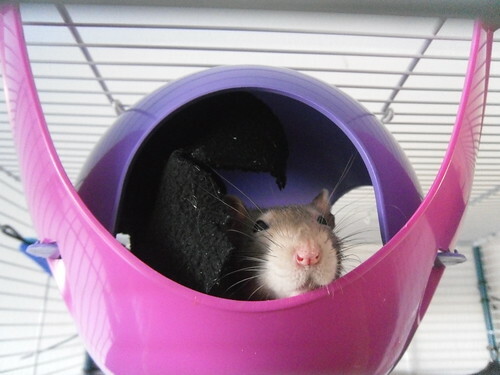 Snickers is so adorable and looks so cute in her Sputnik. I am hoping my mom’s recovery goes well, she seemed to feel a lot better this weekend already so that’s good. I was hoping you mitgh say that ;). I would love to organize a cover reveal for your summer contemporary romance! I feel happy to have made this descision and give authors a tour for free this way. 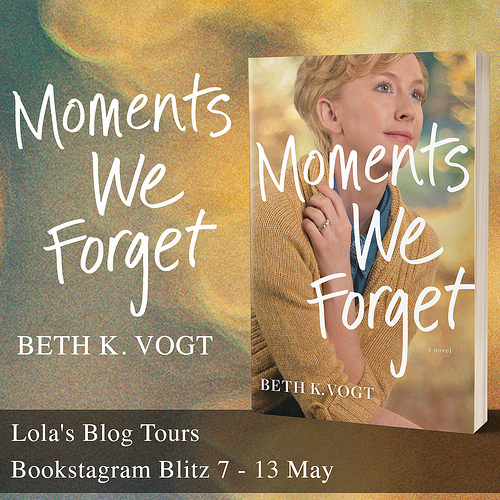 I am hoping it brings some new authors to Lola’s Blog Tours and is a nice thank you for returning customers like yourself :). They certainly are a happy bunch and I love taking pictures of them, when they finally sit still, lol. I am hoping to start Reclaimed later this week, so excited! I have my cleaning supplies sitting on the counter staring at me. It’s another rainy day so I’ll be getting started soon. I love you sweet rats. They are so cute and such characters. LOL You can’t even see the carton anymore but I do remember what it looked like last week. I hope you get the cleaning bug soon! It’s been nice cleaning the house and it all looks so clean and organized now! It’s amazing how they can rearrange the whole cage and even have the carton disapear behind the bedding and cloths. I could watch them whoel day, they are such amazing creatures. So very glad your mom’s surgery went well 🙂 I hope she has a fast recovery! I give you credit for being able to live with your sister. I love my sister but I don’t know if I could live with her lol. I also think it will be good for both of you. This might even make your relationship stronger. I am going to do Blog Ahead also but I think I might use it more for setting up all those posts that I have laying around and then maybe by the end of the 2 weeks I can start scheduling. I need to get myself more ahead with drafts and stuff because typing things the night before only stresses me out lol. Thanks :). My mom already felt much better this weekend, so I hope it stays that way and the test result she get’s tomorrow are good. We didn’t really have a choice whe we moved here, but in hindsight we all think it was better if we solved this differently. Like you said I love my sister, but it’s been struggle living in the same house. I certainly think living in different houses is better for us. The characters in Star Wars Rebels certainly steal the show, it’s just so fun and action pakced and there’s a lot of characetr development going on. I am still happy my boyfriend convinced me to watch Star Wars last year as I love the whole Star Wars world now, I am really exicted for the new movie! You have to convince you husband to see the movies! I am not sure if I can get a lot of scheduling in during Blog Ahead as it’s been a few busy weeks and I think it will stay that way for a bit longer, but I am just hoping I can get back to have 40 scheduled posts again as I drifted back to 35. Thanks for long comment, I always enjoy talking with you :). I’m glad to hear your mom’s surgery went relatively well, Lola. I’m still keeping my fingers crossed that you’ll get good test results tomorrow. Also, I’m sure things will calm down between you and your sister once the move is complete. Space is sometimes a good thing. 🙂 I love the pictures of your rats. Sooo cute! Have a great week, my dear! Thanks! I’ll be happy when we know the test result, this waiting is making me anxious. I agree space is a good thing and I am hoping our relationship will improve again now we don’t live in the same house anymore. It just wasn’t working. I am glad you like the pictures of my rats :). They are adorable and they know it. Your rats always bring a smile to my face. They look like they are enjoying that. I really like that you are going to be making the cover reveals free for authors, to see if they want your services. The Books look fabulous. I am glad to hear that, our rats always make me happy as well. They love their boxes and turn it into cozy nests. I already offer free advice, but this is more concrete as it’s actually a tour and I am hoping authors like to have a free service like that to try out my services. I am now trying to word out about my free cover reveals and hopefully I’ll have some authors singing-up for free cover reveals soon! That Indian Cauliflower Mash sounds good and flavorful! I’ll have to try that one. Nice book haul! Thanks! I hope you’ll give the indian cauliflower mash a try, it’s one of my favourite dishes, it’s really flavourfull and easy to prepare. I loved the Selection but never followed through on reading the rest of the series. Loving the pics of your sweeties. Hope this weeks brings sunshine and smiles. 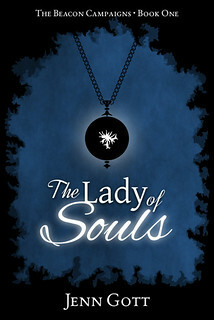 I’ve wnated to try this series for a while now, so I couldn’t resist requesting it when I saw it on goodreads. I’ve had a few series like that as well, where I enjoyed the first book, but never read the rest of the series. Glad that your mom’s tonsillectomy went well. Hope all the test result come back with good news. I love those sputnik’s for my rats too. I had one rat that would chew the edge of the sputnik as he sat in it. He made such a mess with it. Love the rattie pictures, they are so cute. She’s getting the test results back tomorrow, we’re really hoping for good news. I am happy to hear your rats love their Sputnik too, it’s one of their favourite toys and it’s so easy to clean. Our rats never really chew on things, weirdly enough. Except boxes, they tear those apart. One of our deceased rats started chewing when she got sick and chewed a small hole out of one of their toilets, but that’s it. Nice haul, the Selection looks really good. I haven’t read any of the series, still don’t know if I will but I love reading all the reviews of the books. Snickers is quite adorable. thanks for including pics of them so often, makes my day! I’ve had the Selection on y to-read list for a while now, heard some good reviews about it and that cover is just so pretty. 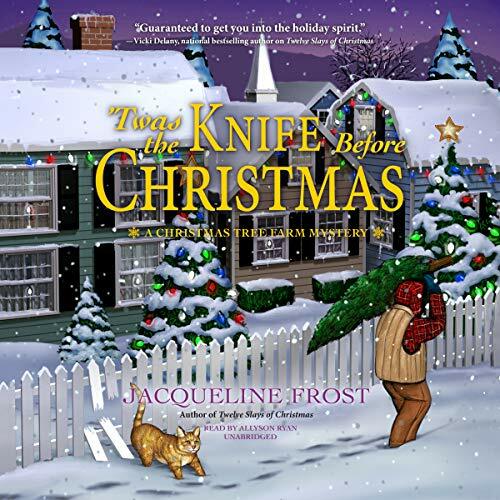 I couldn’t resist when I saw it on netgalley. I am happy to hear that, they have a way of making my days seem brighter just because they are around. I hope your mom feels better soon, and Snicker is adorable:)! Are you excited about getting your sister our of your house? Lol, Youll be free to be wild! Thanks! I’ll post another update about my mom next week, I hope the test results is good news tomorrow. I am definitely happy that my sister is out of our house. Although I think she’ll be one who is going to be wild ;). I love my sister, but we’re really different in personality and that often clashes when you live in the same house. LOL, Snickers the Queen of the Sputnik looks great in that photo, Lola 🙂 Thanks for sharing! I’m sure it’s going to be very nice to not share a house with your sister anymore. I love my sister, but I’m happy we’re not living together – it’s so nice when we spend time together, and then it’s also nice to live in separate houses afterwards. You got some nice-looking books this week, and I hope you will enjoy them all. I saw The Selection on Netgalley, too, but I don’t think it’s a story for me at all, so I didn’t download it. I was happy to have a nice picture of the queen on her throne, lol. She often sits there, but I often forget to take a picture. I agree, I can interact very well with my sister, but when living in the same house it just doesn’t work. It had been a struggle for a while now, so I am happy she finally moved out. 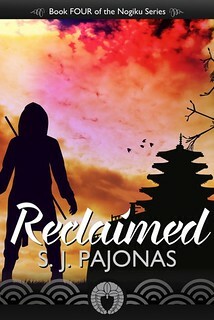 I am really excited about Reclaimed as I love that series and am starting that on my Kobo next. I am thinking I will read the Selection next on my ipad. 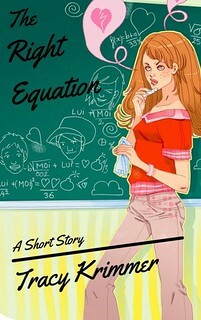 I’ve been curious about the series fgor a while now, so I had to request it when I saw it on netgalley. Your What I Had for Dinner This Week is making my mouth water! It all sounds really delicious. 🙂 And your pets are adorable of course. We had spring weather as well this week, and it’s been lovely. Good luck with your mom’s results! I am glad you like my What I Had for Dinner section :). I just can’t help but post rats pictures os often as they are too cute. I try to avoid watching the trailer as else I get too excited and the wait will be harder, but yes I am excited for the new movie :). I always thought I wouldn’t like Star Wars and sci-fi until my boyfriend forced me to watch the movies about a year ago and then I became a fan of it. I actually liked the newer trilogy (the prequel movies) the most as I enjoyed watching Annakin transform and change like that. he’s one of my favourite characters, so I am a bit sad he won’t be part of this movie, but I am sure it will still be a great movie. I need to get bitten by the cleaning bug too. Spring is here and the back porch needs some work so I can sit out there in the nice weather. Hope the stress goes down for you and your sister when the move is over and also that your mom’s illness isn’t more than infection (though that is bad enough. Neat idea to get more interest in your cover reveals. I was nice to have the urge to clean. I still have a few more cabinets to clean out, but I am glad with what I cleaned so far. I am hoping that the move of my sister helps clam thigns down now. My mom got her test results today and while her recovery will take a bit longer, there is nothing wrong. I am really relieved to have gotten good news! I am hoping the free cover reveals help, I already am organizing my first free cover reveal and heard of 3 other authors who expressed interest in a cover reveal for their upcoming book :). 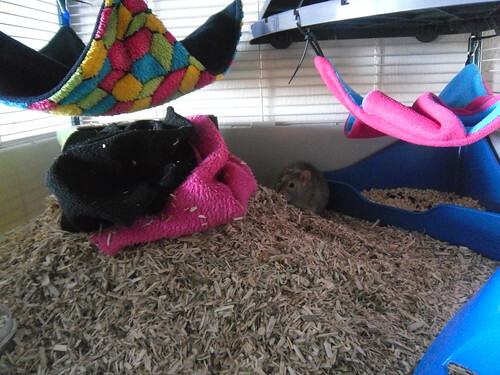 I shoudl try and get mroe Sputnik pictures, they regulary sleep in there with the two of them, it’s adorable. I lived with my sister and her family for 4 months when I relocated across the country. I had to get a part time job to keep me out of the house more, or we might have killed each other. That was 20 years ago and now we are both worried (but not saying it out loud) that I may be moving back in if my disabilities make it so I can’t live alone any more. I know I’m welcome, and they’d even buy a more handicap-friendly home, but sisters living together after living alone is not a good thing in our situation. I know the feeling, while it’s ncie to your family now and then, living together in the same house just doesn’t work. Especially once you get older and try to build your own life. My sister and I differ on a lot of things and it just clashes sometimes. I am hoping you can stay live alone, although I understand that it your disabilities make that impossible going to live with your sister might be the only option. We had a very mild winter, but I don’t like how everything looks so barren during winter in spring everything looks so alive! I think they have quite some seasons. We’ve only seen the first 2 episodes so far, but hopefuly can watch more soon. Thanks for following my blog on bloglovin :). I am glad you like the picture of Snickers, she’s a cutie. Sounds like you had a busy week! 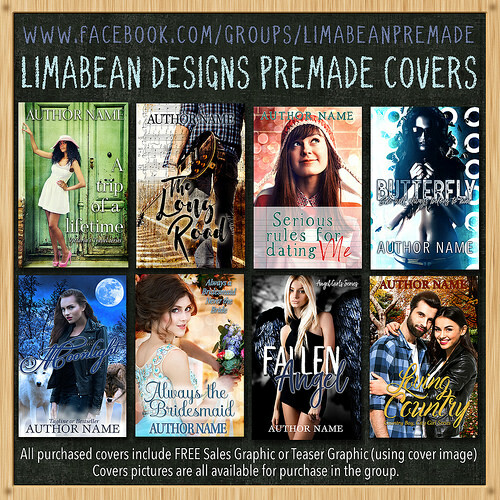 I think that offering cover reveals for free is a great way to get the word out about your other services. Hopefully authors will see how wonderfully you run tours and use you for other services as well! Yes that what’s I am hoping will happen. I already had a few authors express interest in a cover reveal now that they are free. I think they really were too pricey and I am hoping some new authors will try out my tours because of this and will check out my other services as well. And regular customers get something free as a thank you. 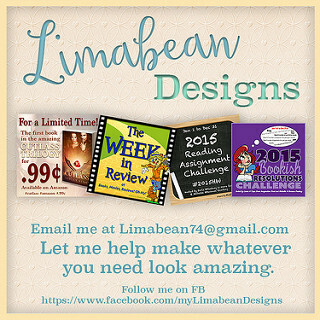 I am really happy I can do this for authors and am hoping it will be good for business as well. 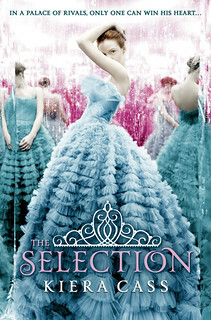 I’ve heard the Selection series before, and I wasn’t the biggest fan of it. It just felt more romance than actual dystopian. I hope to hear your thoughts on it soon 🙂 Hope you have a wonderful week. I’ve heard that a few times indeed that it’s mroe romance than dystopian, so I hope it helps to start the series with that in mind. I am curious about this series and happy I can now give it a chance and see if it’s something for me. I am hoping to read it after I finish my current ipad book, so I hope to review it in a few weeks. Thanks! I hope I can read The Selection soon as I am really curious about this series!